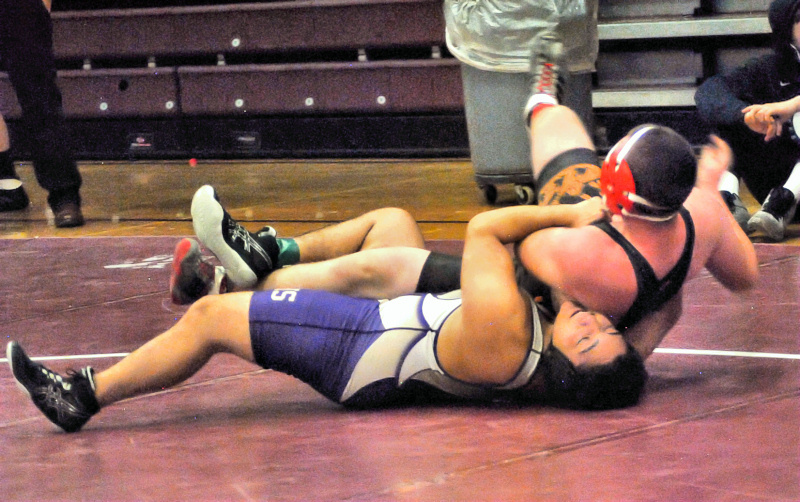 Nine Amsterdam wrestlers placed in the top six of their weight classes at the Section 2 Class B championships Saturday, Feb. 2, at Burnt Hills-Ballston Lake High School. Nick Rodecker led the Rugged Rams by winning the 145-pound weight class with a 4-2 overtime victory over Fonda-Johnstown’s Chris Estep in the finals. Rodecker scored a technical fall over Ballston Spa’s Jack Davis in the quarterfinals and pinned Mohonasen’s Ige Gooding 1:23 into their semifinal match to advance to the championship round. Robert Boyer also reached the finals for Amsterdam, but Queensbury’s Seth Quay pinned Boyer with 25 seconds remaining in the second period to pull out the victory. 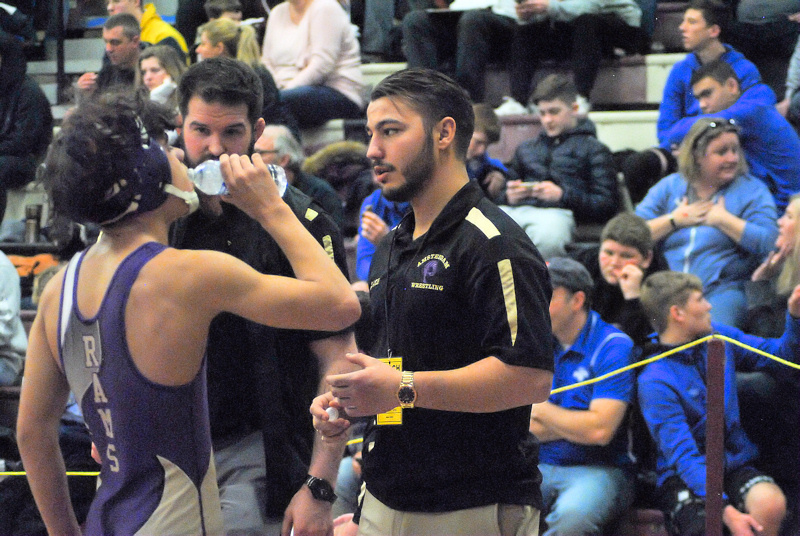 Boyer pinned Mohonasen’s Elisha Rogers in the quarterfinals and Ballston Spa’s Darrien Insogna in the semifinals before placing second with his loss in the 195-pound championship bout. Daniel Montalvo bounced back from an 11-8 loss to South Glens Falls’ Vincent Santilli in the 126-pound semifinals to post a pair of victories in the consolation bracket, capped by a technical fall over Burnt Hills-Ballston Lake’s John Luke in the consolation finals. 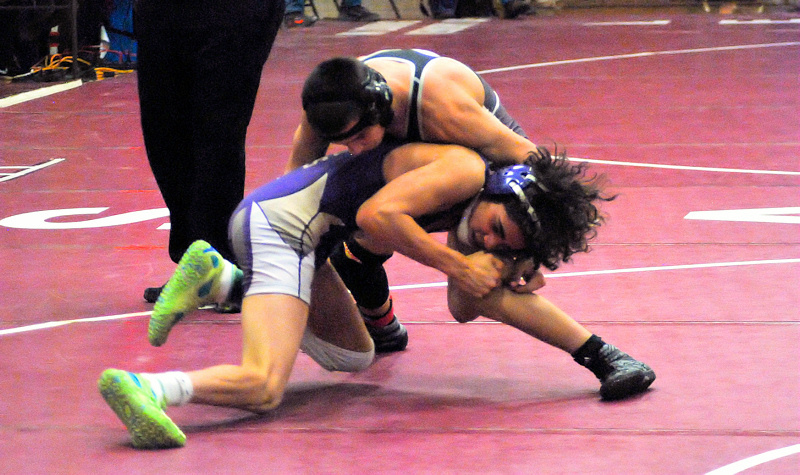 Jacob Garcia posted a 6-2 decision over Amsterdam teammate Eladio Montalvo in the 152-pound division consolation final, after both wrestlers suffered semifinal setbacks. Eladio Montalvo was one of three Amsterdam wrestlers to finish fourth at Sectionals. 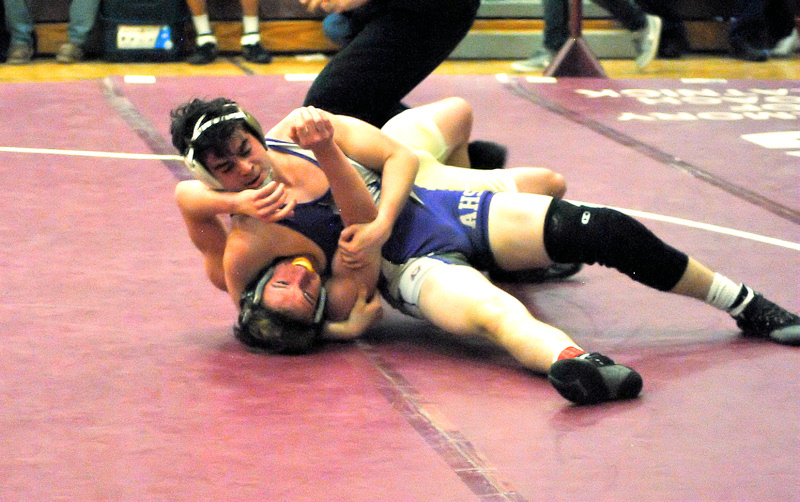 Carlos Montalvo fell to Ballston Spa’s Connor Gregory 8-5 in the 99-pound third-place match, while Burnt Hills-Ballston Lake’s Tyler Rossini edged Renso Montalvo 2-1 to place third at 113 pounds. Tyler Rodecker (170 pounds) and Michael Swank (182 pounds) placed sixth in their respective weight classes to give them an opportunity to qualify for the Section 2 Division 1 (large school) tournament, which takes place Saturday, Feb. 9, at Cool Insuring Arena in Glens Falls. The top four finishers in each weight class earn automatic berths to Sectionals. Amsterdam placed sixth in the team standings with 127 points. Ballston Spa claimed the Class B team title with 224 points, followed by Burnt Hills-Ballston Lake in second place with 205.5 points and Queensbury in third with 186 points. This was the first Sectional tournament for Amsterdam head coach John Paris and assistant coach Brandon Lapi. The two Amsterdam graduates came home to coach the Rugged Rams this season. Rob Jonas writes about sports, arts, and culture for the Mohawk Valley Compass. He has covered high school and community sports for more than 25 years.